If you're not finding what you're looking for on this guide, feel free to Google it! As a good rule of thumb stick with .gov or .mil sites and you can find great resources through the U.S. government. These sites will generally avoid bias, contain no ads, and update regularly. We have already put in the .gov and .mil site limiters for you, so simply add your search term(s) before of after the text in the Google search box. "The Census Bureau's mission is to serve as the leading source of quality data about the nation's people and economy. We honor privacy, protect confidentiality, share our expertise globally, and conduct our work openly." The "Gateway to the European Union." Information on EU countries, symbols, flags, currency, facts & figures, and history. Most of the information is free to access. "A trusted source for federal statistical information since 1997. FedStats supports a community of practice for over 100 agencies engaged in the production and dissemination of official federal statistics, and provides the public with a showcase of information, tools and news related to official federal statistics." This is the authoritative and comprehensive summary of statistics on the social, political, and economic organization of the United States. Links to databases with statistics for almost every country in the world. 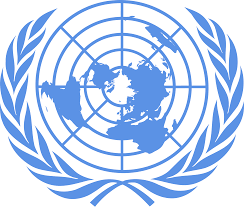 Can also browse/search for general statistical information available through the UN. The principal fact-finding agency for the U.S. government in the broad field of labor economics and statistics. Also serves as a principal agency of the U.S. Federal Statistical System. The U.S. Department of State, often referred to as the State Department, advises the President and represents the United States in international affairs and foreign policy issues. Link to the World Bank databases; combines the World Development Indicators and Global Development Finance. Free to access. Great resource for statistics! Worldometers offers real time statistics on world population, government and economics, health, energy, social media, and the environment, to name a few. This is a great resource for up-to-date statistical information around the world. Compiling extensive research done through the Library of Congress, the Country Studies website provides "a comprehensive description and analysis of the historical setting and the social, economic, political, and national security systems and institutions of select countries throughout the world." Access to European Union treaties, legislation, acts, international agreements, case law, and the Official Journal of the EU, the EU Pesticides Database, and the EU budget among many other legal resources in 24 languages. The U.S. Census Bureau provides both short- and long-term technical assistance on a wide variety of topics related to censuses, surveys, and information systems. Over the past six decades, the U.S. Census Bureau has worked in over 100 countries, and as such is uniquely endowed with experience in every major region of the world. Countries listed alphabetically.